These sweet, commemorative Personalized Picture Frames allow you to pay tribute to the canine who might have left you but will forever be in your heart. 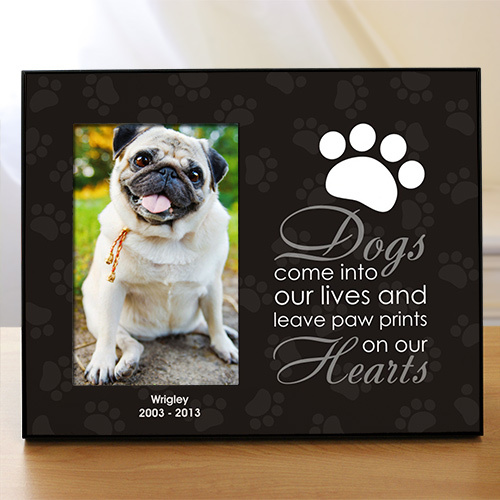 Thoughtful gifts like this pet memorial Customized Picture Frames are great condolence gifts for pet lovers who might have lost their loved one recently. Free personalization of any two line message is included. It is wonderful. A great tribute to my best friend Lizzy. Beautiful picture frame! I love mine so much that I am now ordering one for a friend.